Brochures have proved to be among the most effective tools that can be used to market brands and corporate events. Like many other industries throughout the world, coffee products have also tried out this tool and experienced good results. 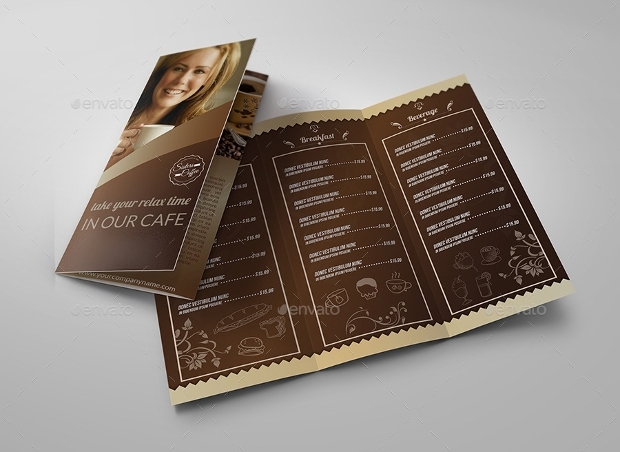 A good Restaurant Brochure can help increase your sales and enhance your coffee brand’s awareness. 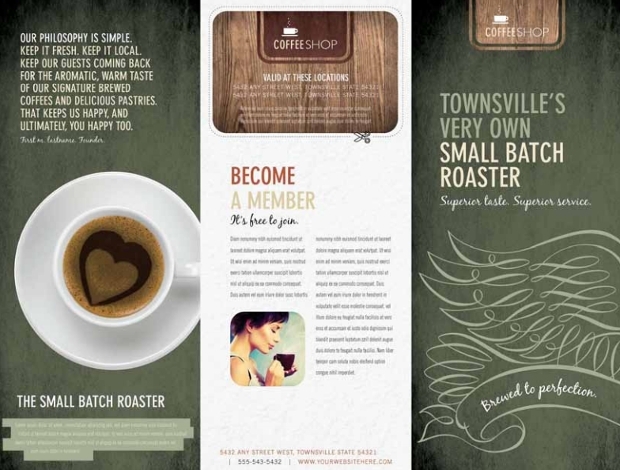 Today, we share with you this great collection of Bi-Fold Brochure designs that can help boost your coffee shop to a large extent. 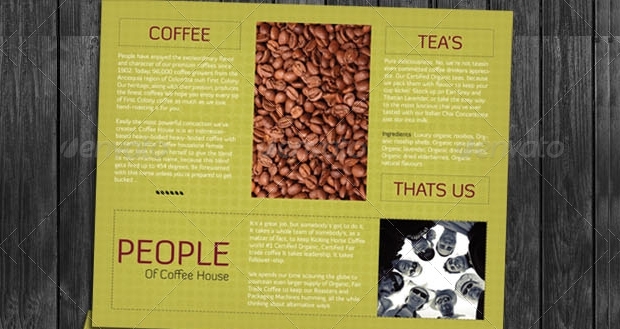 This design is undoubtedly a great way of displaying the menu items of your coffee shop. The elegance and quality of this brochure are spectacular. 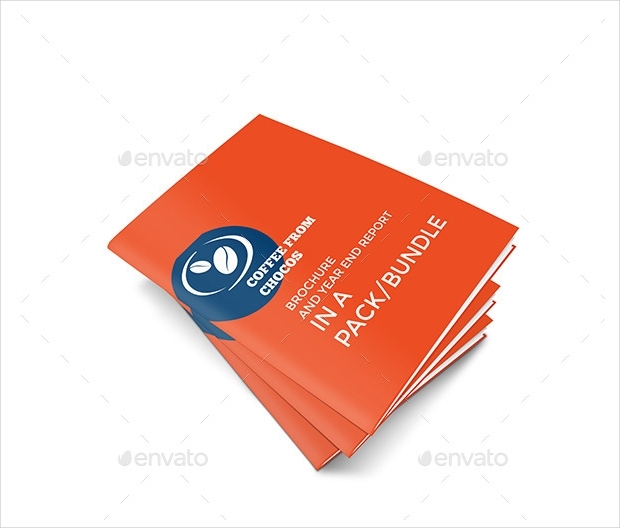 The smart objects of this layered PSD file allow for easy customization of the brochure to your desired style. 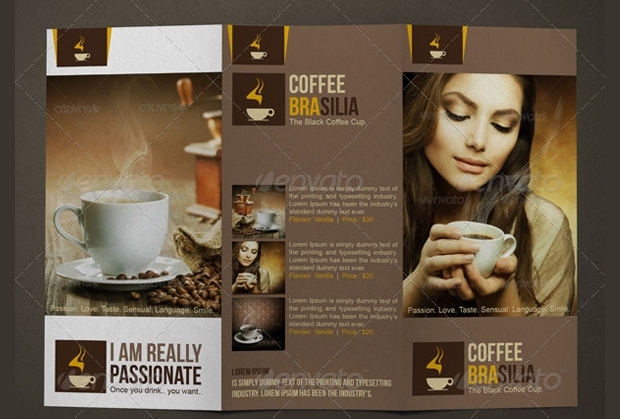 Successful advertising of your coffee brand can be achieved with ease using this brochure design. It is ideal for your coffee shop or restaurant involved with serving assorted tasty coffee drinks. This customizable brochure is obtainable in neatly layered PSD files. 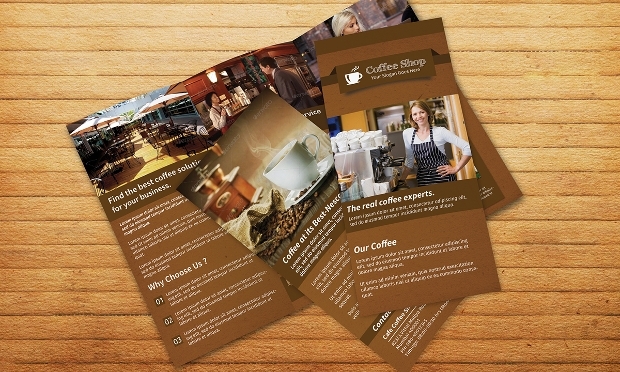 The versatility of the brochure design makes it perfect for use in a number of coffee-related businesses. 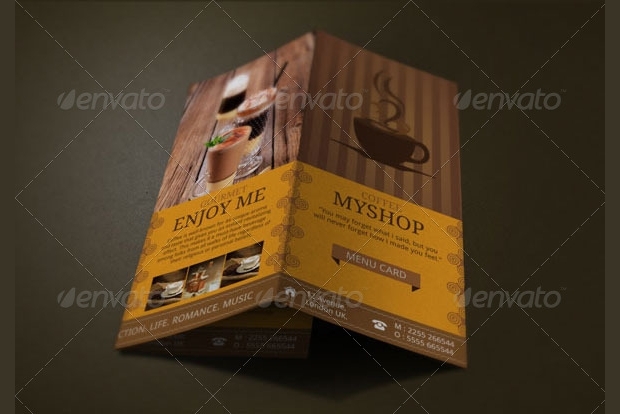 Its elegance and professional layout makes it especially good for Business Brochure usage. 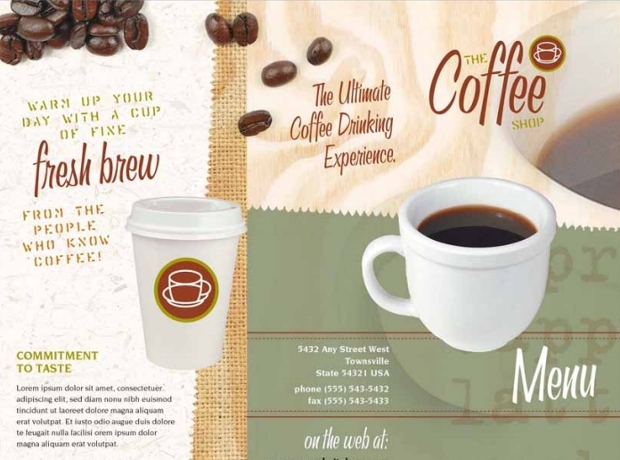 You can use it for your coffee house or coffee shop and, the impression will be great! Do you find fascination in retro styles? 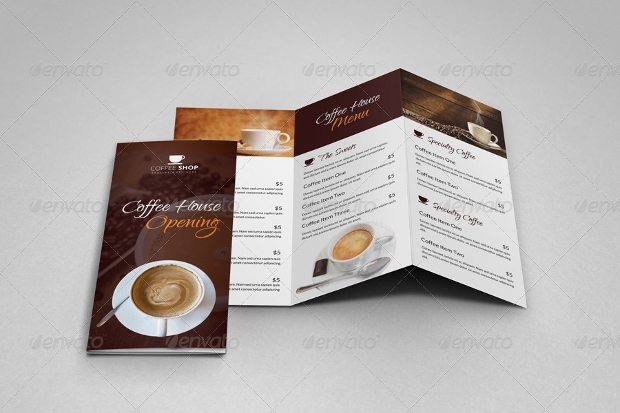 Then this coffee shop brochure design can be a great way of giving your coffee shop menu a retro touch while transforming it to fit into a contemporary coffee shop. The layered PSD file comes with impressive color variations. 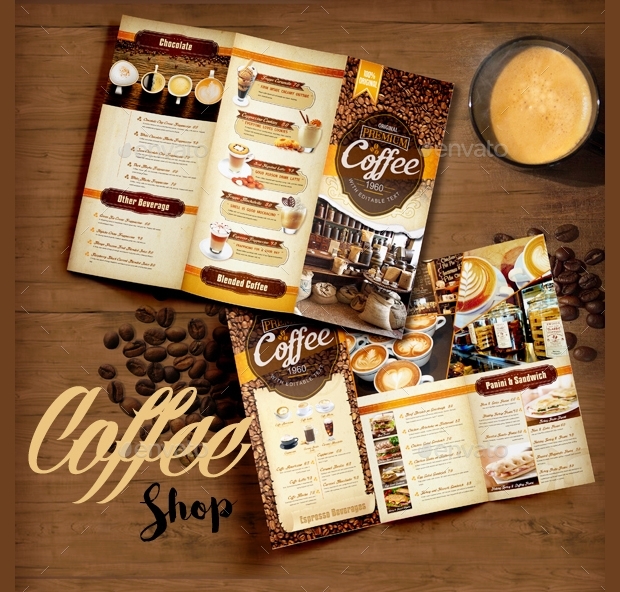 The layout of this brochure design is simple but catchy and, it is likely to showcase your coffee shop brands to customers in the most compelling and professional manner. The design is easily editable for real customization. The simplicity of this template’s layout is quite appealing. 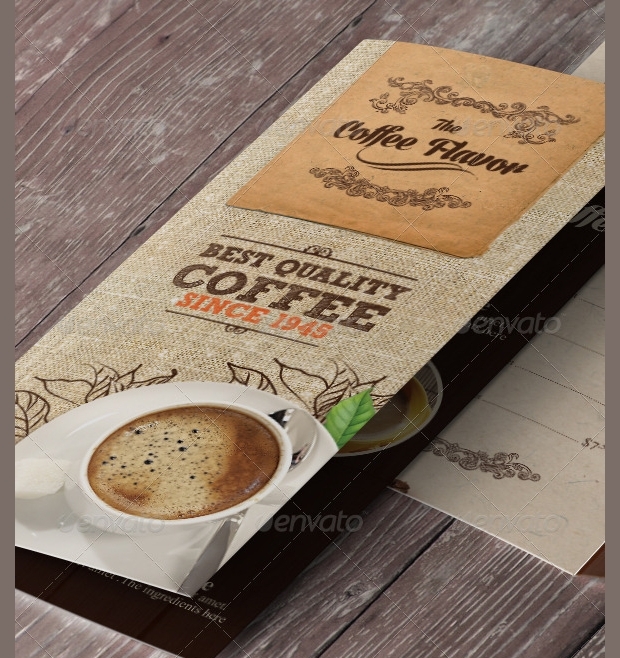 It is great for displaying all the menu items of your coffee shop to customers. Whether you want to replace the images or text therein, you can do it effortlessly. 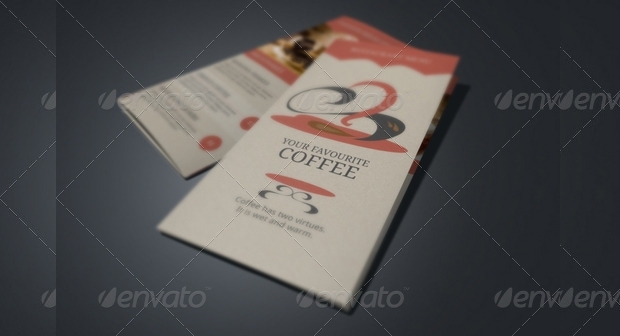 Want to do your coffee shop branding in style? 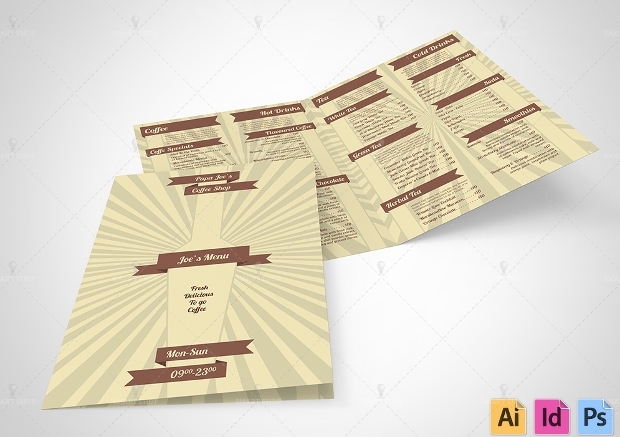 This Tri-fold brochure design can work ideally well for you. It is available in downloadable layered PSD file, with well ordered layers. You can resize the brochure’s objects without losing their quality. 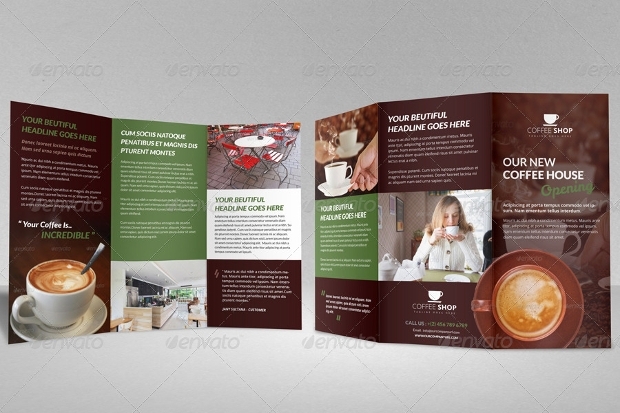 This 300 DPI print ready bi-fold brochure design is perfect for displaying your coffee shop menu. 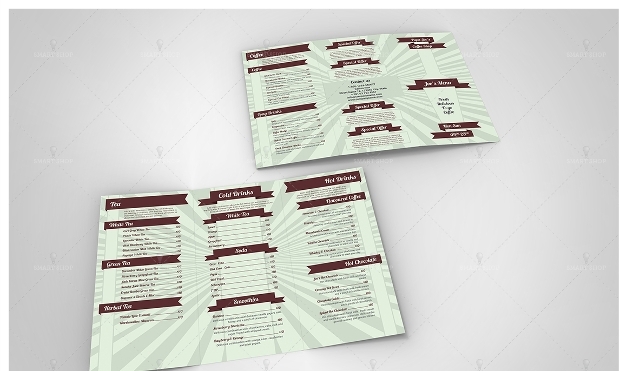 Your coffee menu is likely to stand out compellingly to your customers. It is easy to edit and customize thanks to its highly organized PSD layers. 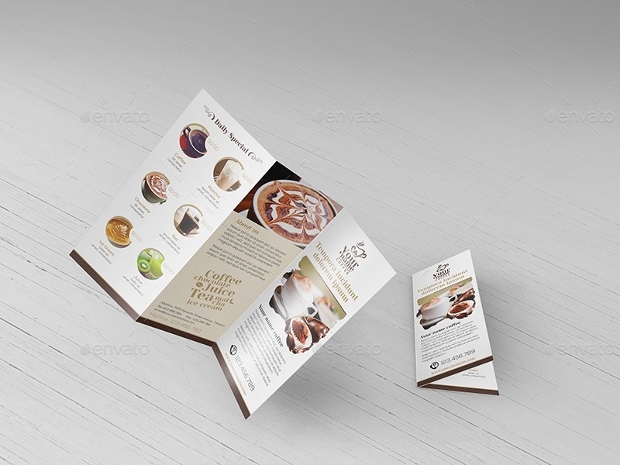 This tri-fold brochure design featuring a color scheme of the charming coffee browns can be a powerful tool for presenting your coffee shop customers with an impressive menu. It is fully editable. It is just natural that when we are presented with a wide selection of options all of which appear captivating, sometimes selecting the design to use for your Hotel Brochure can be quite overwhelming.